You know what look Great in a house, Barn Doors!! Barn Doors look great and are usually the focal point in a house. It is hard to find well built barn doors with beautiful hardware that doesn’t look like every-body else’s in every single track home you go into. Builders want to make you happy but they are constrained by staying on budget and making there customer happy. 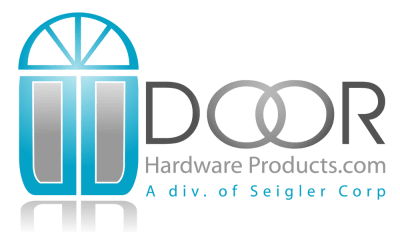 As the owner of Door Hardware Products, I would like to help you with this problem. But in solving this problem I have had a few obsticals of my own. The solution I came up with removes the price constraint because there are plenty of cheap options but not many options that provide a great product and great service. So what I have decided is to work with our partners and offer truly custom built barn doors with hand made hardware made by a great American company. We have no brochures, we have no samples, What we are proposing is in this age of Facebook and Instagram you simply send us four things. Contact – Call or email our office with you contact information and we will call you back. Style – Send us a picture of the door or doors you would like to have made. We will also need the measurements of either the case or sheetrock opening that you will need for each opening. Type of Wood – We have access to most common woods. Pine, Cedar, Oak, Birch, Poplar ect. and some exotic wood but it would be upon availability. Doors are constructed with Style and Rail construction, Glued and Nailed. Hardware – We offer Rustica Hardware, We can sell you there hardware for the same price that you can get it on there site. If your purchase qualifies then you may even get a 10% discount on the hardware. So simply go to the RusticaHardware.com website and pic what hardware you would like to go on your custom doors. We will work with you on the details and send you a confirmation of the Style, Type, and Hardware that you have chosen. Shipping – We will ship you your door LTL to you or your contractor so that it does not get damaged in 4 to 6 weeks. If you would like to see some of the doors we’ve made for our customers, just look on our face book page. We will be posting them as we get them. If you are interested, we would be honored to build a showpiece for your home. Please call our office at 910-833-7148 or email us at [email protected]. This entry was posted in Barn Door Hardware and tagged American Made Barn Door Hardware, Barn Door Hardware, Rustica Hardware.